Angelica requested a tattoo showing her ethnic backgrounds: Native American, Mexican, Native Hawaiian and Irish. 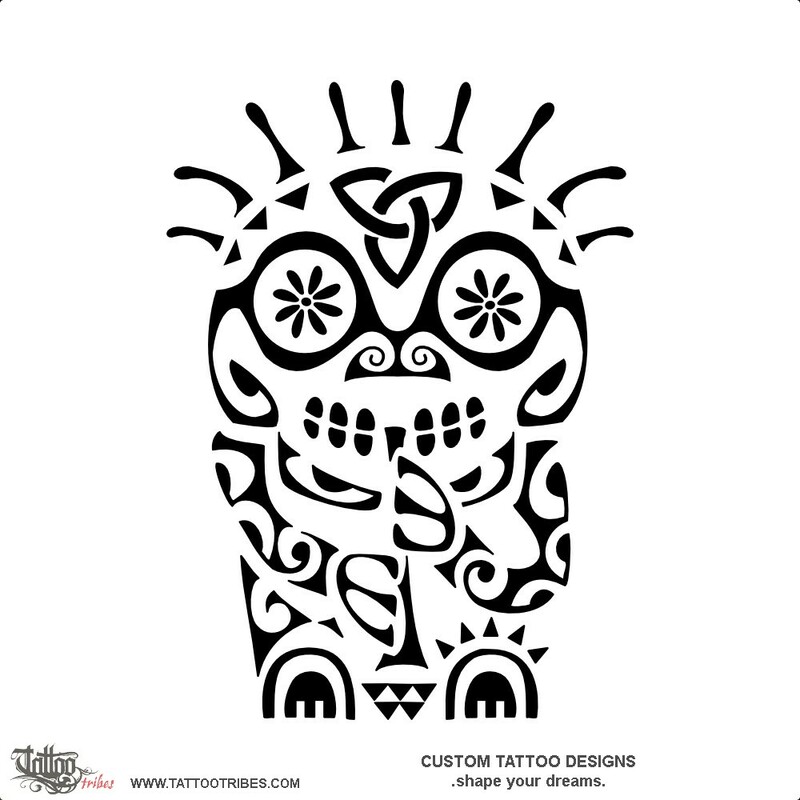 It had to include the Hawaiian fertility tiki, a skull from Mexico, a symbol of dance from Native American art and something symbolizing luck and protection from Celtic folklore. 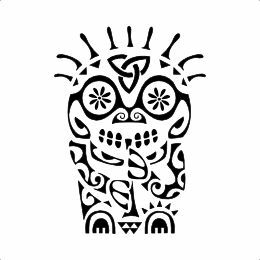 We decided to keep the tiki as the general shape, transforming it into a kokopelli playing the flute and having the head designed like a calavera, a Mexican skull. On its forehead we placed a Celtic knot for eternity and protection.